If you’ve been waiting for the release of the Eclipse Litetouch Keyboard you’ll be pleased to know that it has now cleared FCC and it’s nearly available to purchase. Eclipse Litetouch is unique in that the number pad on the right side of the keyboard has been replaced with LCD touchscreen. Which can be programmed with multiple sets of controls to be displayed. Check out the video after the jump to see it in action. 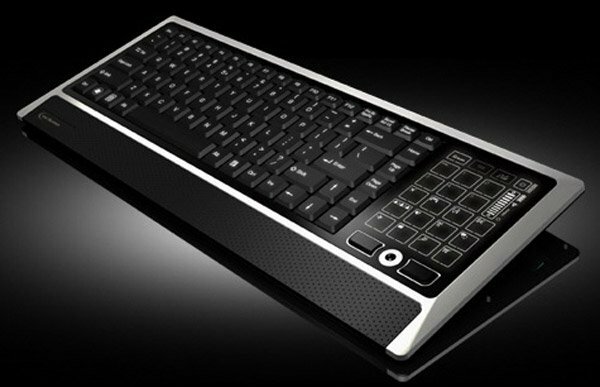 The Eclipse Litetouch keyboard will be available in both a wired version for $99 and a wireless version for $129. Both will be compatible with Windows and Mac OS X systems.